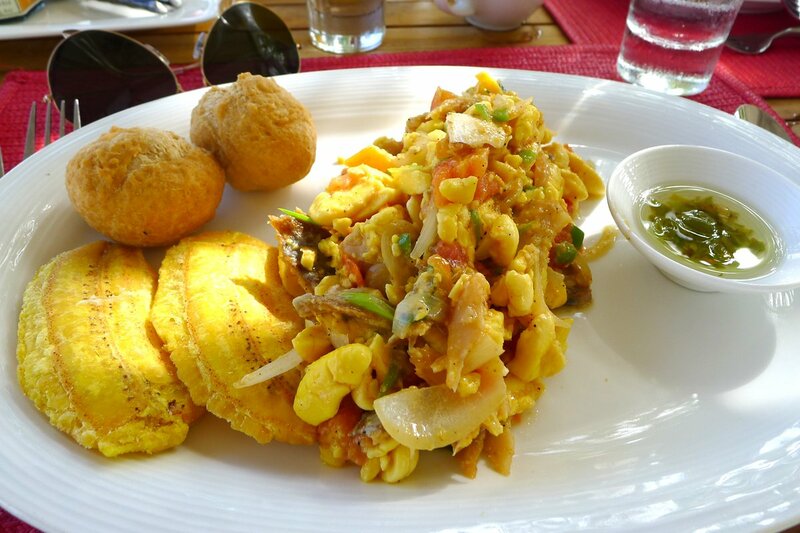 In search of an authentic Jamaican breakfast: fried plantains, dumplings, ackee and saltfish, and Scotch bonnet pepper sauce. 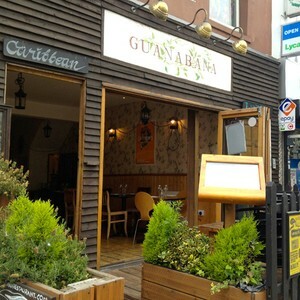 When you're in London craving Caribbean flavors, these are the best restaurants to hit. LONDON – London's deeply rooted Jamaican culture long ago created many popular haunts for Caribbean jerk, ackee, and saltfish roti. But the London 2012 Olympics brought a timely reason for sussing out the best of the lot: Gold-winning Jamaican sprinters Usain Bolt, Yohan Blake, and Asafa Powell were in town. All that power running works up an appetite. 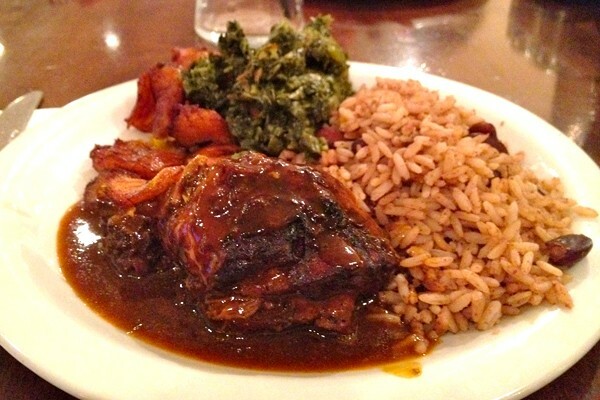 Which makes us hungry for authentic rum and calaloo from the winning Jamaican restaurants around town. 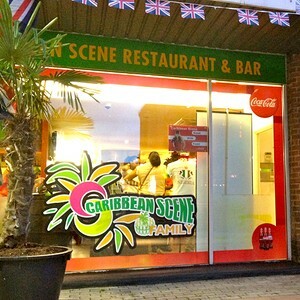 Set in the heart of Camden, this sit-down restaurant offers dressed-up versions of Jamaica's comforting fare, such as sea bass bathed in coconut milk and a light sweet pepper sauce or baby spinach, okra, and coconut risotto. Bop to the 1950s reggae wafting down from the speakers and settle back with a Cuba Libre. One of the celebrity runners may even make an appearance during your meal. 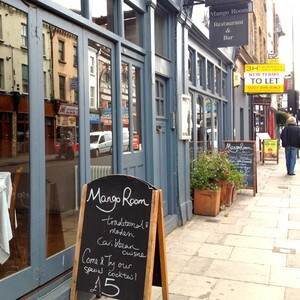 Down on Kentish Town Road, this cute, rustic joint is admittedly way off-the-beaten path. But you will be rewarded with beef ribs that fall off of the bone and — bonus — it's BYOB. So you can bust out the Champagne to celebrate a victory — or nothing at all — whenever you want. The modern-day beach shack throws a few twists into the mix — like their must-try, rum-soaked West Indian bread pudding. Nevermind the slightly kooky decor. You're here for the melt-in-your-mouth goat curry and the expertly made cocktails.